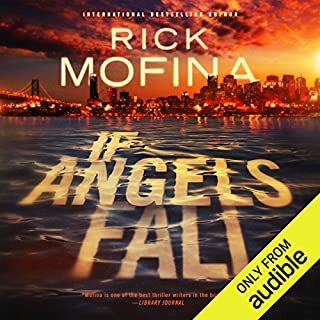 Tom Wade is a determined cop and a relentless man of action - equal parts Harry Bosch and Jack Reacher - who battles police corruption and a ruthless crime lord, against impossible odds. He’s exiled by his superiors to one of King City’s most notorious and violent neighborhoods - a poverty-stricken, gang-ridden hellhole known as Darwin Gardens. It’s a de facto death sentence. But Wade doesn’t fight the potentially fatal reassignment. With just two rookie officers to help him, Wade does the only thing he’s wired to do: his job. After growing up in a dysfunctional and emotionally abusive home, Tanya Marquardt runs away on her sixteenth birthday. Her departure is an act of rebellion and survival - whatever she is heading toward has to be better than what she is leaving behind. Struggling with her inner demons, Tanya must learn to take care of herself during two chaotic years in the working-class mill town of Port Alberni, followed by the early-nineties underground goth scene in Vancouver, British Columbia. She finds a chosen family in her fellow misfits, and the bond they form is fierce and unflinching. Marty has been expecting this day all his life. He's prepared. In his car are a pair of sturdy walking shoes and a backpack of food, water, and supplies. He knows there is only one thing he can do... that he must do: get home to his wife, Beth, go back to their gated community on the far edge of the San Fernando Valley. All he has to do is walk. But he will quickly learn that it's not that easy. His dangerous, unpredictable journey home will take him through the different worlds of what was once Los Angeles. Wildfires rage out of control. Flood waters burst through collapsed dams. Natural gas explosions consume neighborhoods. Sinkholes swallow entire buildings. Aftershocks rip apart the ground. Looters rampage through the streets. There's no power. No running water. No order. Marty Slack thinks he's prepared. He's wrong. Nothing can prepare him for this ordeal, a quest for his family and for his soul, a journey that will test the limits of his endurance and his humanity, a trek from the man he was to the man he can be... if he can survive The Walk. 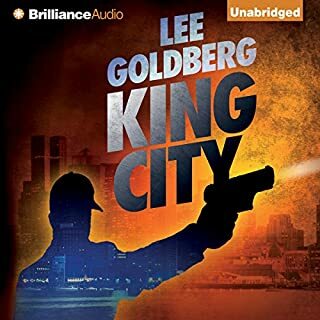 ©2009 Lee Goldberg (P)2012 Brilliance Audio, Inc.
Would you consider the audio edition of The Walk to be better than the print version? What other book might you compare The Walk to and why? This isn't a typical end of the world type book. It isn't a howto guide. It isn't a political statement. It doesn't involve zombies. So with books doing the rounds at the moment I haven't seen any to compare it to. If you could take any character from The Walk out to dinner, who would it be and why? 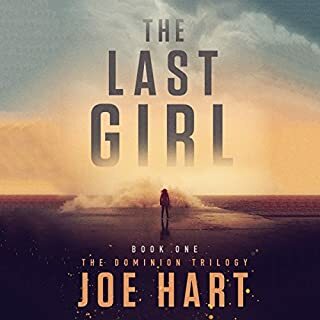 For a while I was not sure I was going to stay with this book to the end, it seemed hokey and the characters did not appeal to me, but there was enough action and interesting encounters to keep me involved. Then I actually turned a curve and began to like the book, and the ending is unique and I really liked how it turned out. I think the writers aim in the beginning is to present a character that you are supposed to dislike, then move him from one epiphany to the next as events overtake him on his trek home through disaster until he is finally redeemed, and the author accomplishes this. There is a great twist in the ending that I did not see coming and it is one that I really liked. 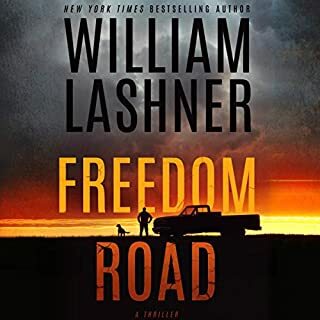 I thought this was going to be a prepper story, and on some level in the background mostly it is, but it is more of an action story, still if you are a prepper you will like the author's description of events and the main characters attempts to deal with them is decently crafted. I would say this is a recommend with the advice of staying with the book until you understand what the author is trying to do with the story, it is worth the effort in the end. Premise could have been great EOWAWKI read.... but "Buck" a main character uses 3-4 swear words in each sentence he utters, and his name rhymes with the most constant. There is a fixation on all forms of elimination, reproductive organs and if the female characters have a bra on or not. I was so surprised the writer of the Monk series would ruin a plot with so much needless crud... sure life has some swear words but this is ridiculous. Better books than this on same topic: One Second After, Alas Babylon, Jakarta Pandemic, The Road, 77 Days, The Stand, Patriots, Survivors, Swan Song, Earth Abides... I would sooner listen to The End or Lucifer's Hammer, both books I didn't really care for... this was the worst. I really liked this! I was a little unsure at first and had to learn to love the main character Marty, or at least learn to like him. There were a few things that didn't make sense, but all in all it tied together. The way the book ended was a little disappointing. The idea behind it was really good - it just would have been better if there had been a little lead in to it and a little after story. This book was interesting and entertaining and has given me a few things to think about. This booked kept me fully engaged! The characters were great and realistic and the narration was spot on! I would highly recommend this book. If you liked Alas Babylon, my thoughts are you would also enjoy this book! 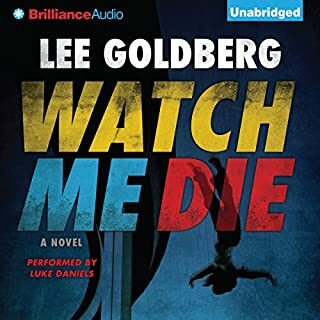 How does he do it, I wonder as I read yet another Lee Goldberg novel (third in the last couple of months) where seemingly stock characters navigate familiar plot lines, yet I identify strongly with the characters and find myself invested in their predicaments. But I can see how he does it: he starts off with a main character who, despite seeming to come from central casting, feels like a real person, right off the bat, and throughout. Secondary characters too. My wife says you can fry cardboard and it will taste great because it's fried. In writing, you can write cardboard (cutouts) and they will taste great if you make them real characters that readers can empathize with. You can make them walk home many miles across the wrecked L.A. landscape after the Big One, through tidal waves, overpass collapses, gas explosions, wildfires, and mounds of dead bodies, referring explicitly to the Irwin Allen disaster movies they hark back to, and you buy it because the character is real, fully formed, flawed yet capable of growing. This also explains why Goldberg can be so prolific. He doesn't have to sweat the plot points all that much because his characters show him the way. He even has his character in The Walk, a failed writer turned TV producer, say as much. It's truly amazing to me as a wannabe writer -- he seems to do it with ease, yet it is such a simple and basic tenet of writing. Character. Character is everything. Goldberg can create character. The Walk also has a great twist ending. I saw it coming about an hour ahead of time, and I was hoping throughout that hour that he was actually taking us to that twist. And he did. It's like ... if I name what it's like, it would be giving it away, so I won't. Also gotta give a tip of the hat to voice-meister Luke Daniels -- his voices can sometimes be too much, but they work here. Could've been a great story, but I'll never know because I stopped listening once you met the guy at the taco stand. Every other word was the F word. I couldn't get past that. 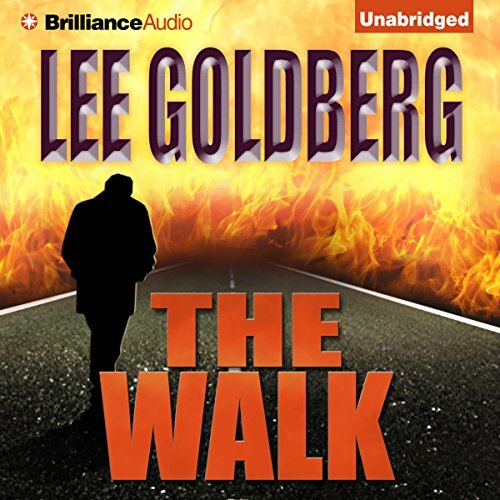 Where does The Walk rank among all the audiobooks you’ve listened to so far? Buck, if I told you it would ruin a wonderful aspect of the story. If you could rename The Walk, what would you call it? nothing, I love the title. I loved this story. The main character, Martin Slack, is just a normal guy who is unhappy in his marriage and not thrilled with his line of work. Following the quake that levels LA Martin is forced to trek across the destroyed city and it's multitude of horrors in an effort to be reunited with his wife. Along the way he is tested and pushed further than he ever imagined he could handle and is joined by a professional bounty hunter named Buck who seems to exist only to needle and torment Martin. This book is not the usual crime/humor/parody from LG. Goes deep into human nature, how some would react to a disaster. Marty,a big movie exec. tries to get home, to his wife, after "the Big One" hits Calif. Pretty much total destruction all around, so its a harrowing journey. He meets Buck within a short while and this guy is REALLY obnoxious! Other reviews complain of language and his attitude but that is the character and LG writes him beautifully! Luke Daniels does a fantastic job narrating, especially Buck, you will hate him, lol! The story would not be the same without his attitude, yes he is crude, misogynistic and maddening but please don't let him turn you away, you'll miss a great story. Marty goes thru hell, almost to the point of "REALLY"?! More? But it's all for a reason. 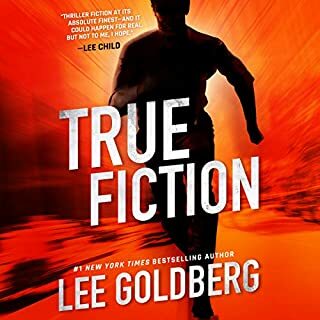 Goldberg is great with the doing the "almost too much," if you have read True Fiction and Killer Thriller, (fantastic humor) but keeps it right at the edge. There are some really tragic incidents that LG handles with his dark humor, even some LOL for sure. The ending is a perfect little twist. I always do stuff while I'm listening to audios but the last 30 min i stopped and just listened. Kept me engaged the whole way. This is my absolute favorite LG book, dont pass on this one because of the bad reviews,they obviously didnt read to the end.